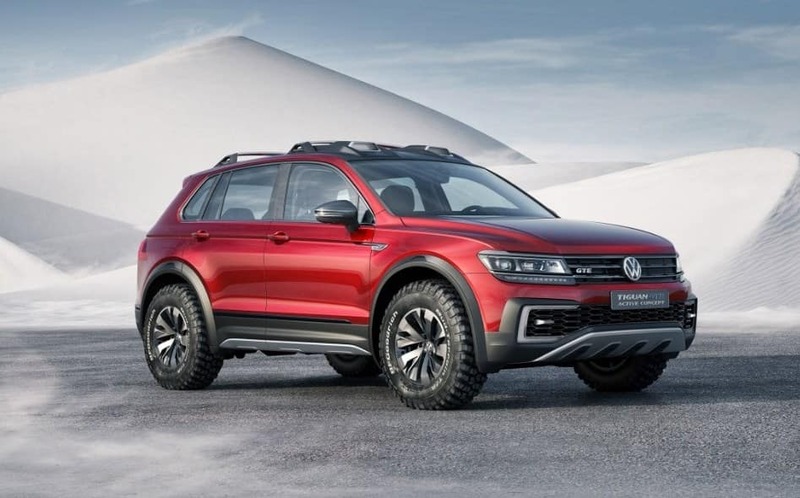 Volkswagen has responded to America’s love of size by making the second-generation Tiguan not just longer (by almost a foot) but taller. With this increase there’s room for an optional third-row seat, making this crossover a smart option (available on AWD models) for families looking for a seven-seater. With all-new exterior styling, a nicely appointed interior, and true SUV capabilities, the 2018 Tiguan is at the top of its class. There are five trim levels – S, S with 4Motion (all-wheel drive), SE, SE with 4Motion, SEL, and SEL Premium – and each comes with a transferable bumper-to-bumper limited warranty that covers 6 years or 72,000 miles. Space is the theme in the 2018 Tiguan, but it gets good marks for comfort as well, with remarkable fit and finish, a lush soft-touch dash, and nicely stitched seating – cloth in the S trims, heated leatherette in the SE trims, and heated leather in the SEL and SEL Premium. There are 12-volt power outlets in the front and rear consoles and cargo area, and the second row has its own heat/AC vents and USB port. Safety is a strong point with the Tiguan, with a rear-view camera, Electronic Stability Control and Engine Brake Assist all standard equipment. Forward Collision Warning, Autonomous Emergency Braking, and Blind Spot Monitor are available. All trims save the base model have an 8-inch touchscreen for controlling audio and climate (the S trim’s screen is 6.5 inches). Volkswagen Car-Net App-Connect and Bluetooth are standard equipment. There are two USB data ports in the front row and a USB charge port in the second row. All Tiguans feature a turbocharged 2.0-liter four-cylinder engine that has been modified for higher fuel combustion efficiency and makes 184 horsepower. Although the Tiguan is no longer available with a manual transmission, the Sport mode on the eight-speed automatic transmission provides consolation to those who like to control shifting. The delivers 24 miles to the gallon.